M&M's are cute little sugar-coated pieces of chocolate that never seem to stop being popular. They've been dominating the market of sweets ever since World War 2. M&M's are available in over 100 countries world-wide and it's safe to say that everybody knows about them. They've got a unique, addictive taste that kids love so much. The grown-ups like it as well! If you're a fan of tasty little thingies, M&M's are definitely one of your favorites. They're perfect for fulfilling that sudden rush of hunger and you can take them with you to the movies, to a picnic - wherever you want. So, take a look at the craziest facts about M&M's - I'm sure you'll learn something new! - The first M&M's were created and developed back in 1941, during WW2. They were produced in a small factory in New Jersey. However, the demand was so high that they had to move production to a bigger factory. Awesome fact about M&M's: initially they were only sold to the military (go figure! ), so, the regular Joes and Janes didn't get an access to them until 1945, when the war finally ended. - Forrest Mars, the son of the founder of Mars chocolate, co-owned this candy with Bruce Marrie. Yep, that's right: the name comes from the surnames of these two fellas. Come to think of it, this is actually a pretty common practice - to name a certain product after the creators and/or owners of the business. 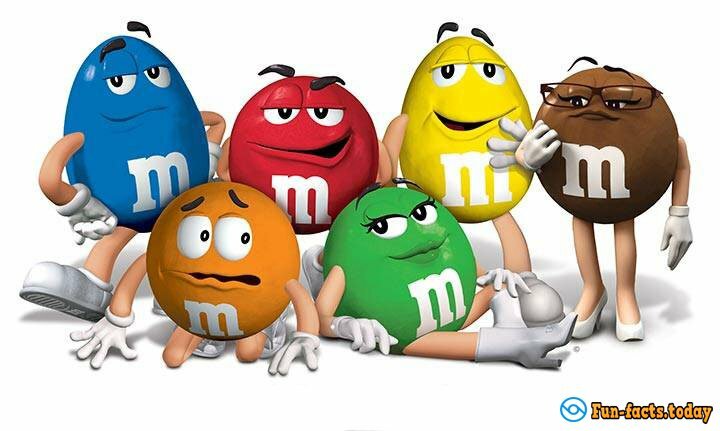 - One of the craziest facts about M&M's: As shocking as it might sound, Murrie and Mars were not really good friends. Rumors claim that Forrest only agreed to work with Murrie because the man's father was the head of Hershey's, a chocolate giant that provided pretty much the biggest chocolate rations during the Second War. In 1949, 4 years after Nazi Germany was crushed, Mars convinced himself that he needed full control of the company and bought the 20% share that Murrie had for 1 million dollars. Back then $1 million was a ridiculous amount of money (just so that you know). - Interesting fact about M&M's: today we associate this chocolate product with that trademark "m" that's "engraved" onto each piece. However, that wasn't always the case! Up until 1950 the candy was sold without the letter, and between 1950 and 1954 the "m" was black. They changed it to white in '54. Funny, huh? - Some people think that M&M's came before Smarties, but it was actually the other way around. Smarties were developed in 1937, and Forrest Mars was impressed by how they managed to prevent the inner chocolate from melting by using an outer shell. 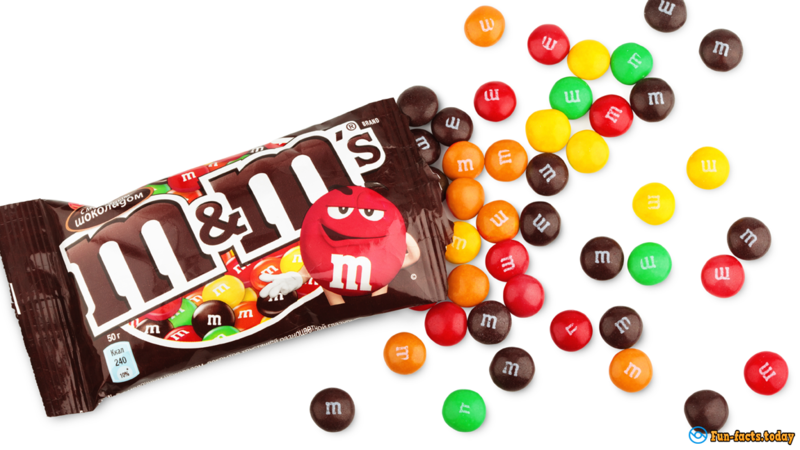 - Crazy fact about M&M's: today the red M&M's are one of the best-sellers. However, back in the 70's they were replaced by orange "siblings", and it took the red ones 10 full years to get back into the market (the orange ones didn't left, though). - Hilarious fact: back in 2012, the Google staff had an unlimited number of M&M's at work. Naturally, they were swallowing them like crazy, which made the bosses worry a bit. So, they simply put nuts and fruit in the most noticeable places, while "hiding" the candy away in dark, masked jars :). 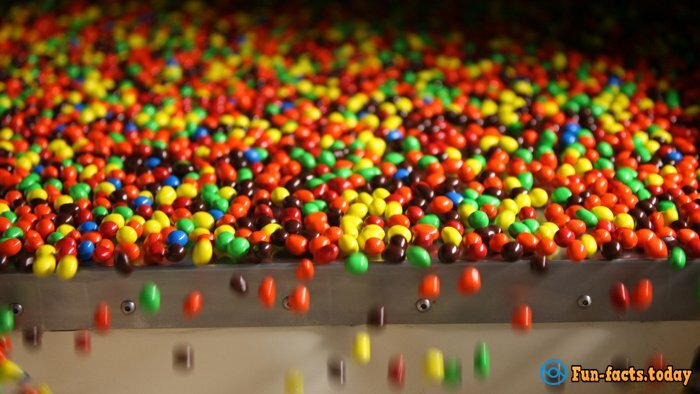 - Alright, here is the CRAZIEST fact about M&M's: the factories all around the world produce 69K pieces per second! That's how popular this candy is!